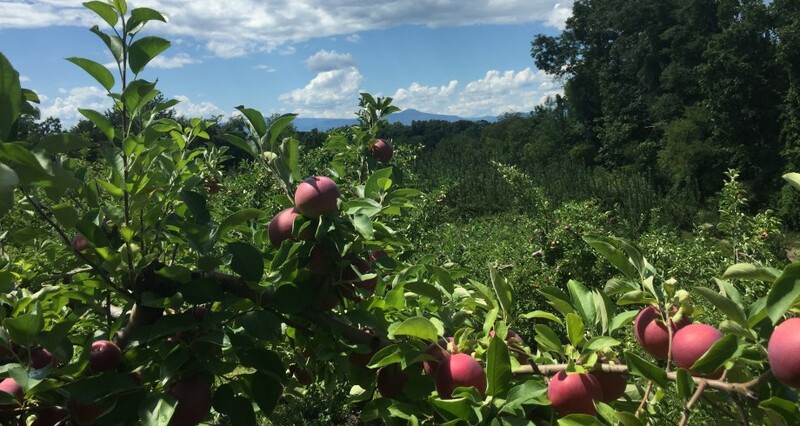 For over 180 years Vosburgh Orchards has been owned and operated by Vosburghs passed down through 6 generations. Arnold Vosburgh, Jr and his nephew Mark Stier, continue the tradition by growing a variety of apples, vegetables, pumpkins, hops, and U-Pick flowers. Becoming a farm brewery in 2015, the historical Vosburgh 1800’s Dutch post and beam barn became home for Sloop Brewing, Co.
Hope tends to the new farm stand. Mark and Arnie gearing up for fall pumpkins! Everyone helps at harvest time!